The second trailer for Paul Feig's 'Ghostbusters' remake is out and it's much improved over the first one. That one was "the most disliked YouTube video ever" but that probably had more to do with the influx of misogynist MRA-types who flooded the trailer with negative reactions than regular movie fans. The new one is livelier, better paced, with more exciting footage. We get the scope of what these new Ghostbusters played by Melissa McCarthy, Leslie Jones, Kristen Wiig, and Kate McKinnon are up against in the new trailer. 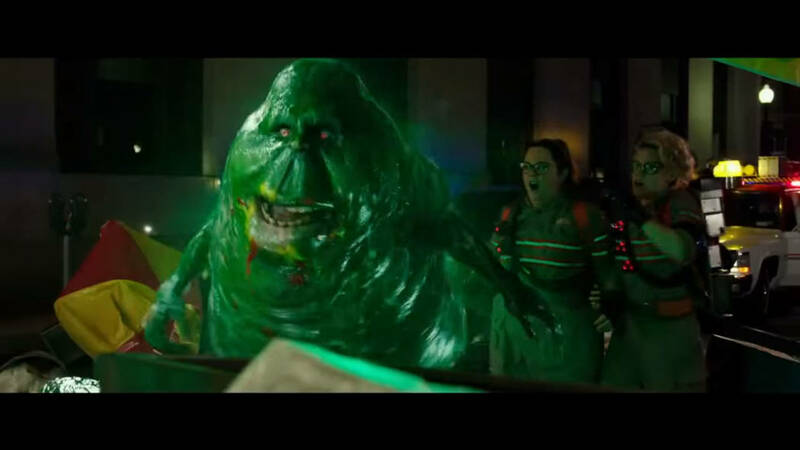 Besides the cavalcade of ghosts roaming the streets of New York, there's more Slimer and a sneak peek of the Stay-Puft Man, the big baddie from the original 1984 film. Ghostbusters hits theaters July 15th.